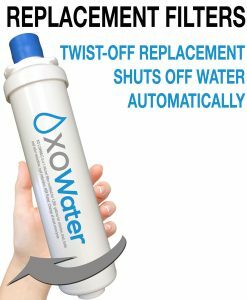 Reverse osmosis removes about 85-90% of the minerals in your water in addition to the chemicals, lead, etc. removed by our other filtration options. In parts of the country where there is a higher mineral concentration (like South Florida or San Diego), many of our customers prefer to upgrade to reverse osmosis to remove most of the minerals and the flavor they add to the water. “What the heck is Reverse Osmosis – and why would I need it?” Well, reverse osmosis removes about 85-90% of the minerals in your water in addition to the chemicals, lead, etc. removed by our other filtration options. In parts of the country where there is a higher mineral concentration (like South Florida or San Diego), many of our customers prefer to upgrade to reverse osmosis to remove most of the minerals. Customers who are in other parts of the country usually have lower mineral counts in their water, so it isn’t necessary to spend the money on reverse osmosis because it probably won’t make a noticeable impact. Reverse Osmo­sis is the process used by many brands of bot­tled water such as Aqua­Fina™ and Dasani™. Check out the labels! 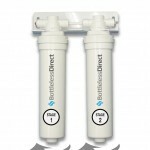 With Reverse Osmosis, your water passes through a 4-stage sys­tem before it gets to your glass. The first stage removes par­ti­cles 20 times smaller than the diam­e­ter of a human hair. The sec­ond stage enhances the fla­vor and purity by remov­ing chlo­rine, lead, and other poten­tially harm­ful chem­i­cals that pro­duce bad taste and odor. 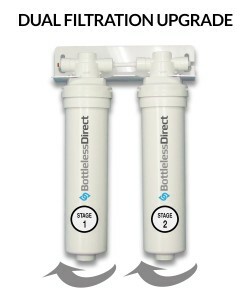 The third stage removes about 90% of all min­er­als in your water. In this stage, water is pressure-forced through the pores in the mem­brane. The fourth stage fur­ther puri­fies the water to give it a clean, crisp taste. 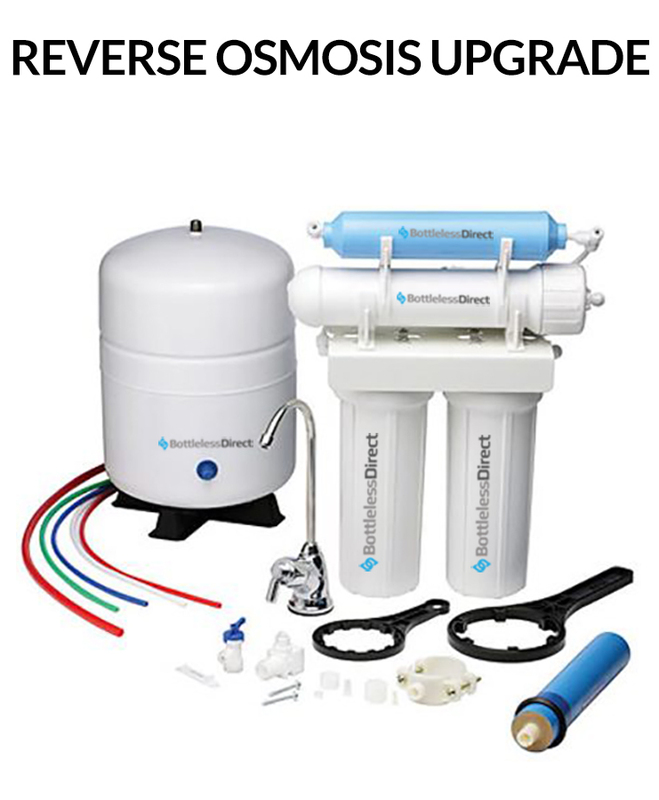 Installation: There are a couple of things to keep in mind when purchasing a reverse osmosis purification system. Reverse osmosis requires a drain (our regular micron purification does not). Because of this, we recommend installing the reverse osmosis system under a sink. This way, the drain is only about one foot away. 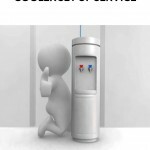 The waterway will then bring the pure water from the reverse osmosis system under the sink to your bottleLess cooler. (The reverse osmosis system does not need to be near the cooler.) Since the water is forced through microscopic holes in a membrane, it has to be continually flushed or else it’ll get clogged.